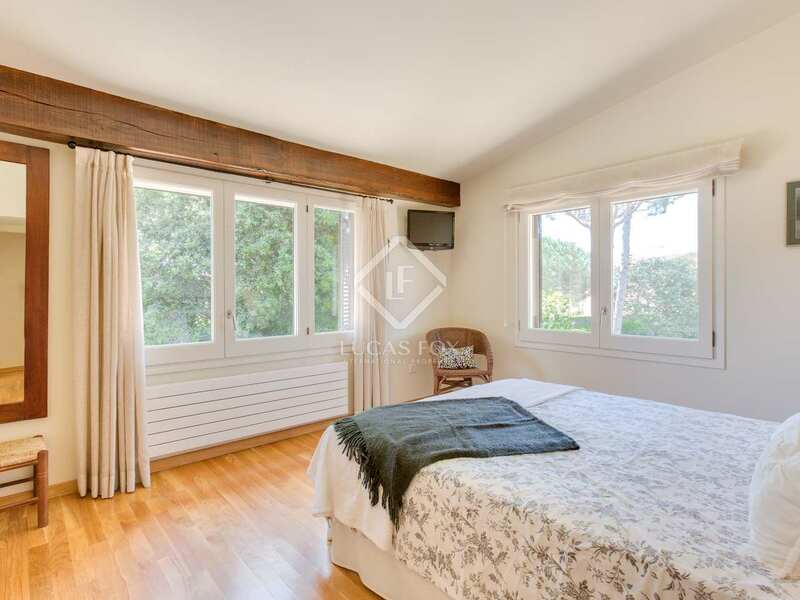 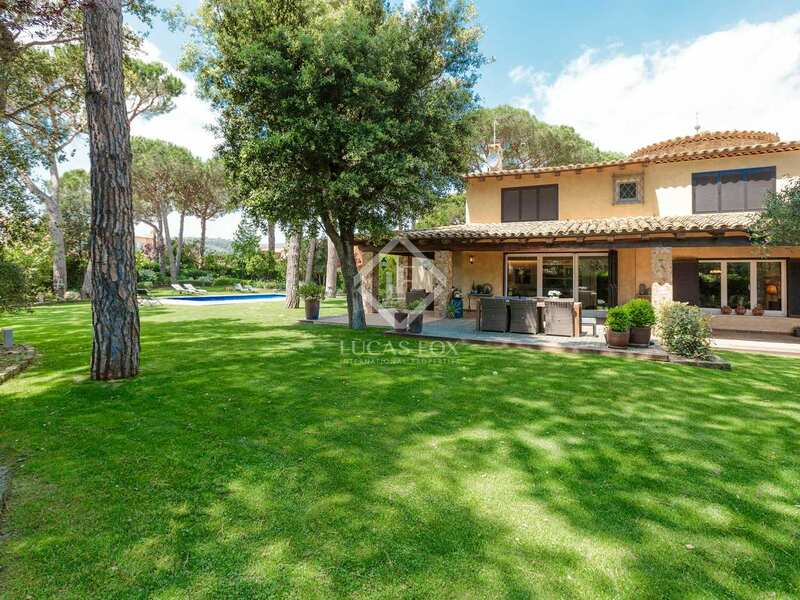 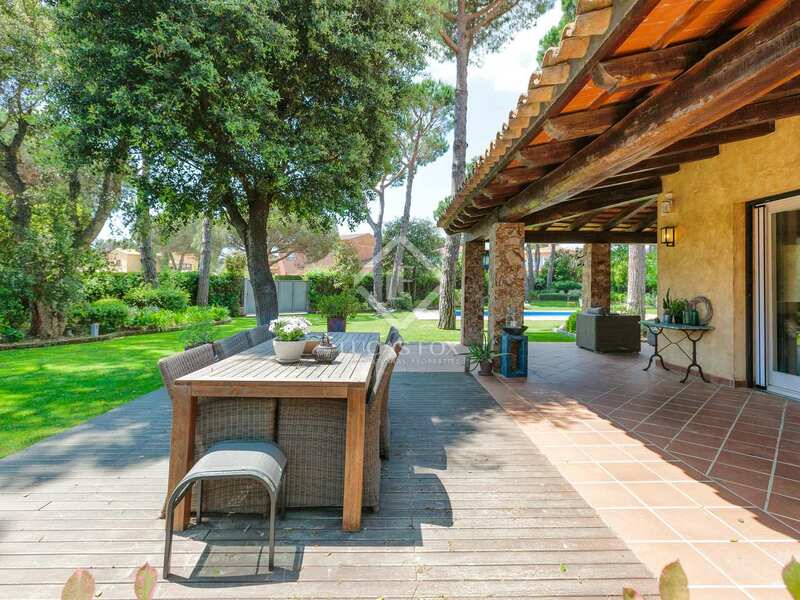 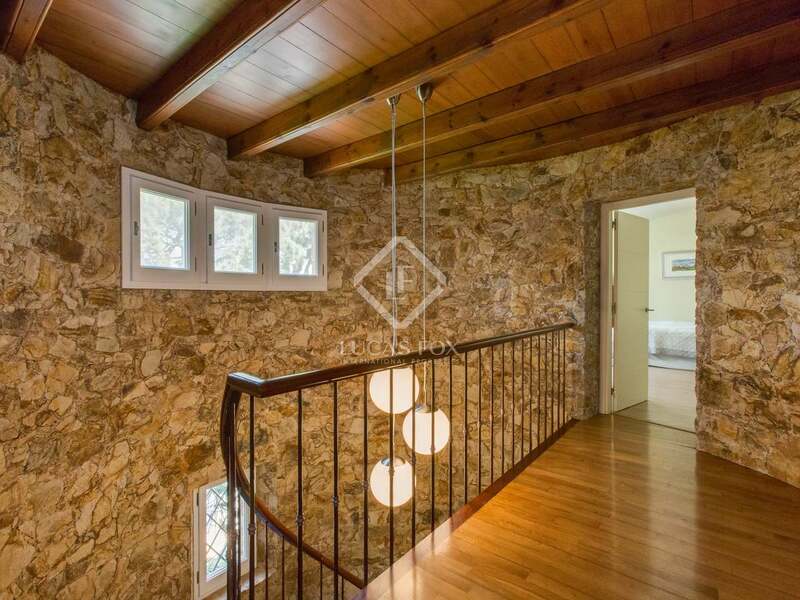 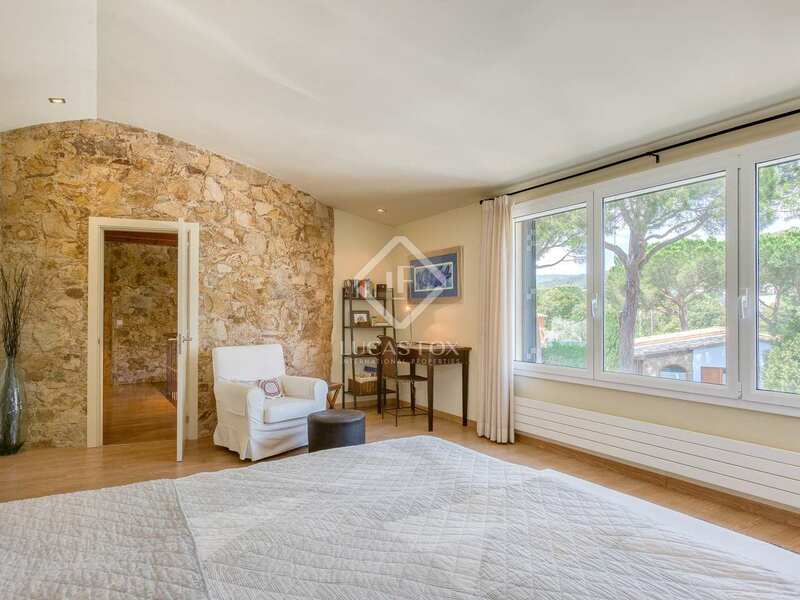 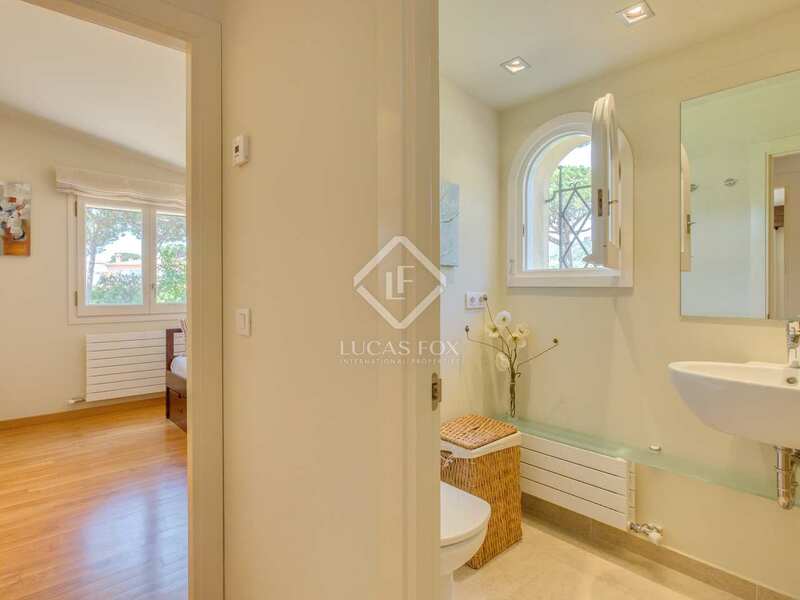 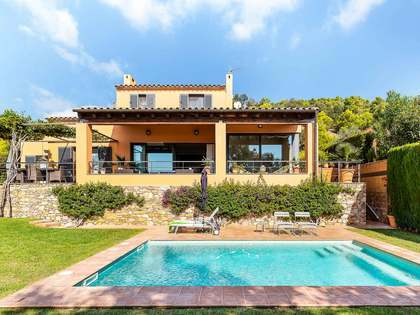 Beautifully presented house on a large plot offering seclusion in a prime location, less than 3 km from the beautiful beaches of Calella de Palafrugell and Castell and within walking distance of supermarkets, restaurants and the tennis club. 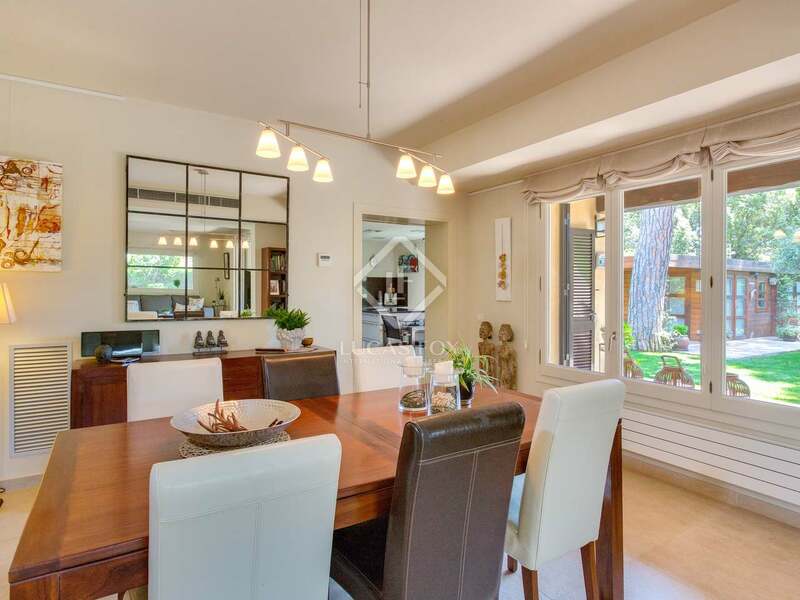 Built in 1980, this beautiful free-standing house has been extremely well cared for and is presented today in perfect move-in condition. 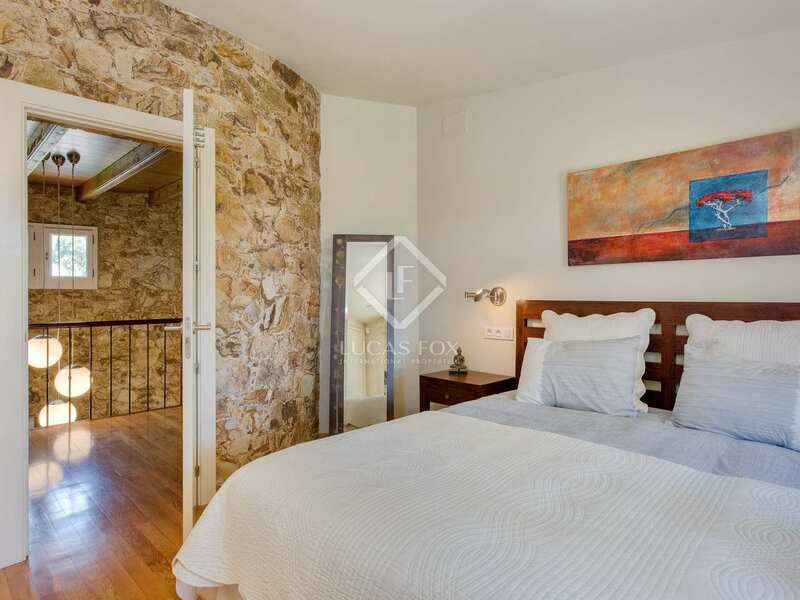 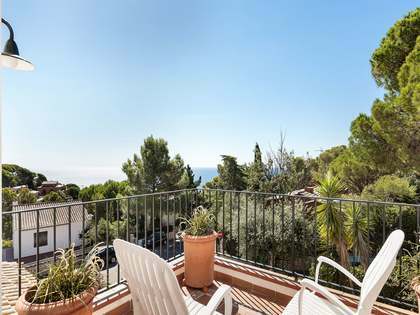 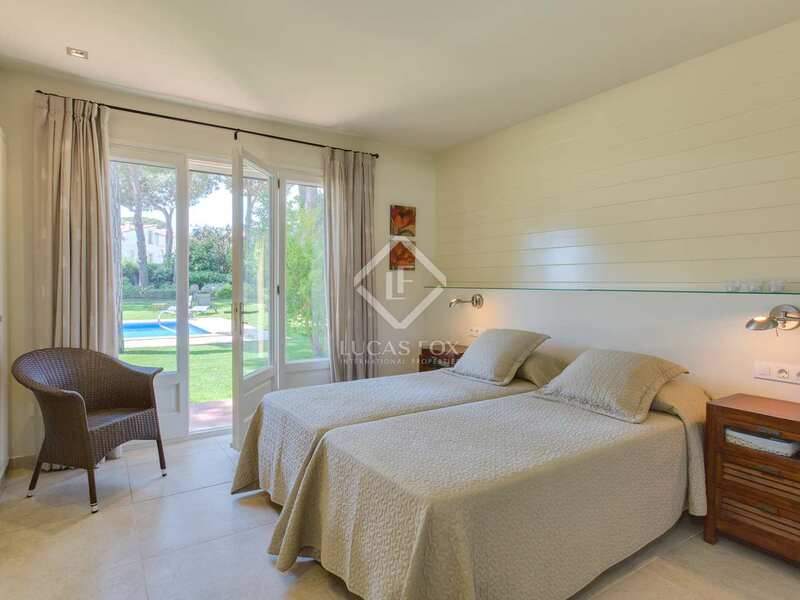 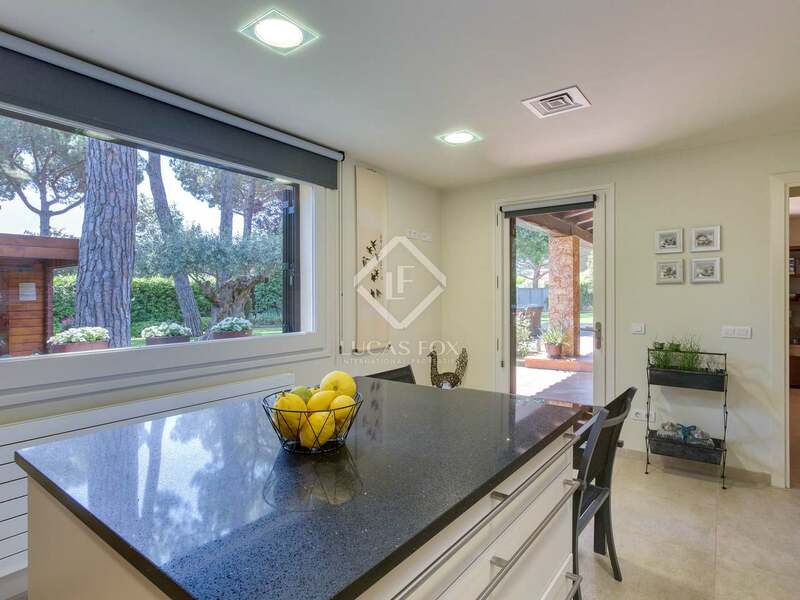 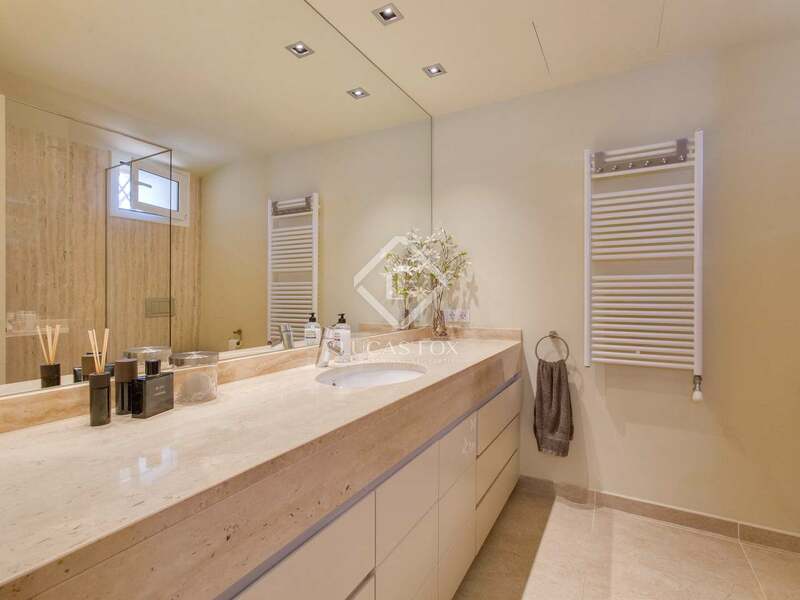 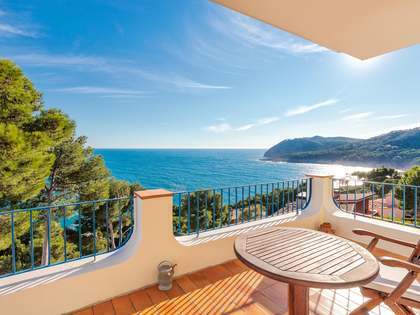 It is found on a generous corner plot in the picturesque residential neighbourhood of Torre Simona, just 10 minutes by bike to the pretty Costa Brava beach of Castell, very close to amenities and surrounded by picturesque countryside. After leaving the car in the large double garage, we enter the ground floor of the home via the entrance hall which leads into the spacious living room with patio doors that open out onto the terrace and garden. 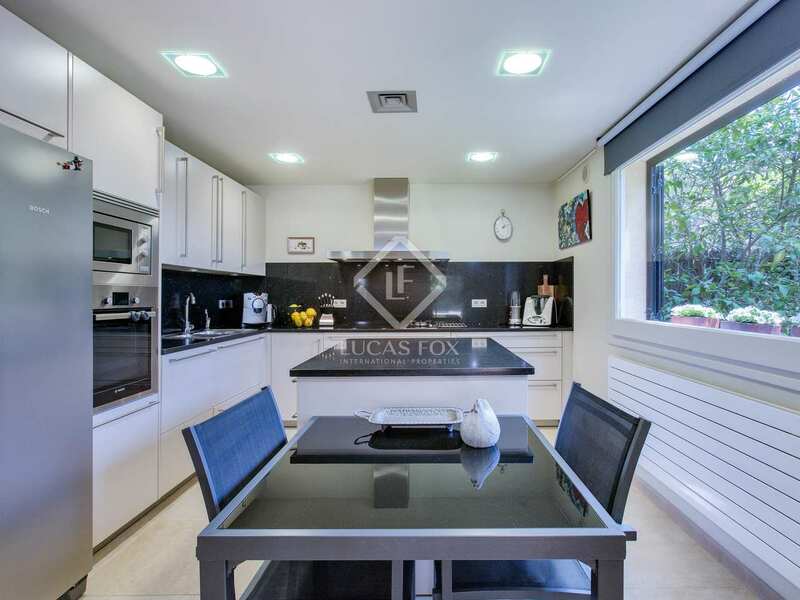 Moving on we find a fully-fitted kitchen, a utility room, an attractive bedroom with direct access to the garden and its own bathroom. 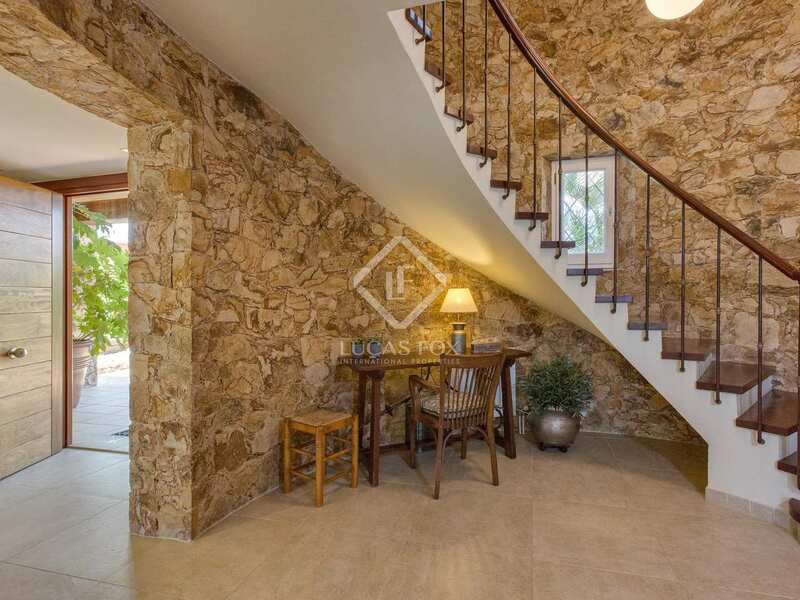 A unique spiral staircase takes us to the first floor. 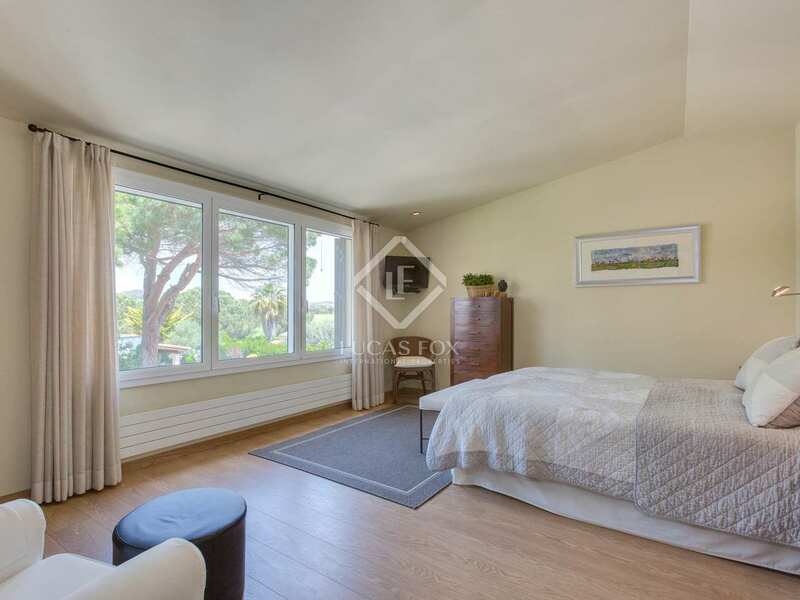 The first floor offers two bedrooms with ensuite bathrooms and dressing rooms, two further double bedrooms and one shared bathroom. 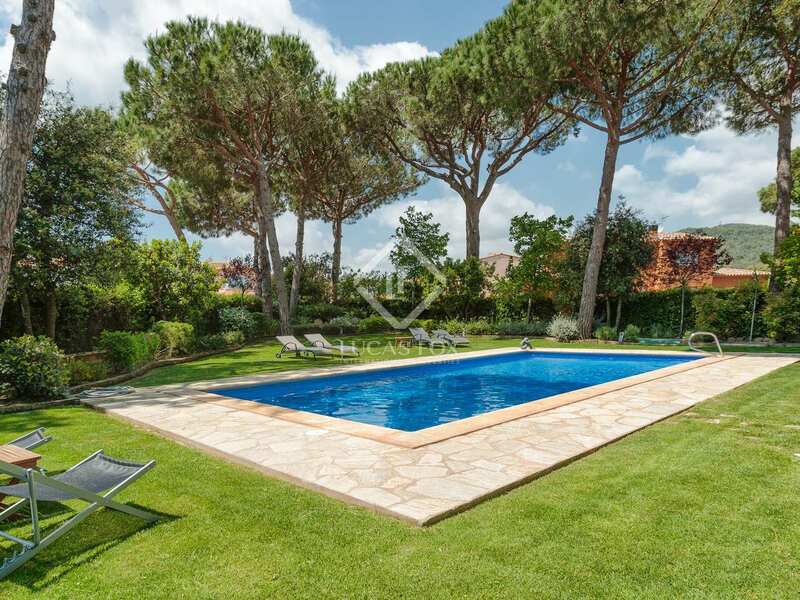 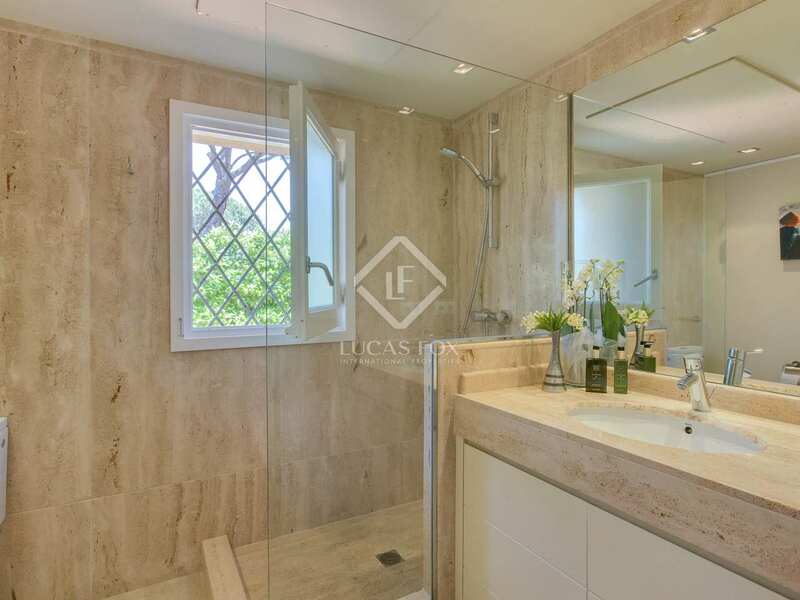 This 5-bedroom family home is surrounded by a wonderful level garden with lawn and a variety of trees and shrubs, all watered from the property's own well. 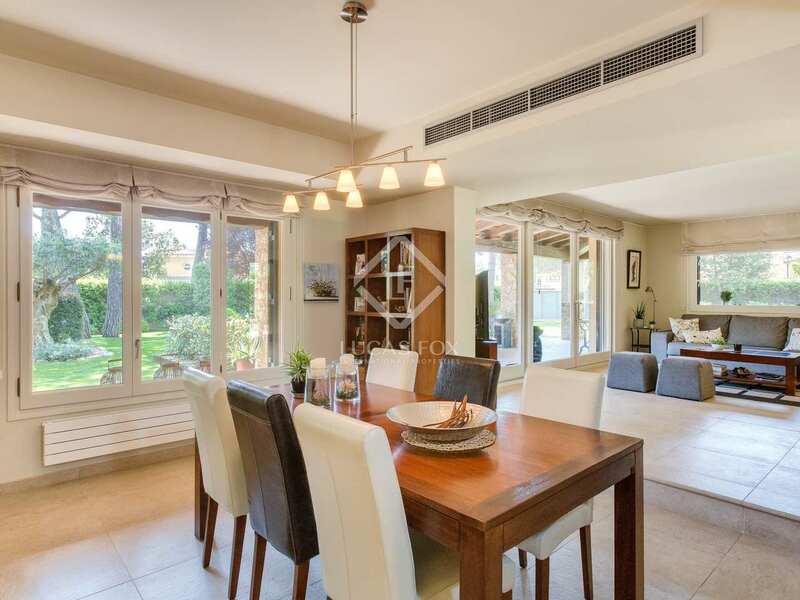 The covered terrace and barbecue area is the ideal place for family meals and the large swimming pool is perfect for keeping cool on those balmy summer days. 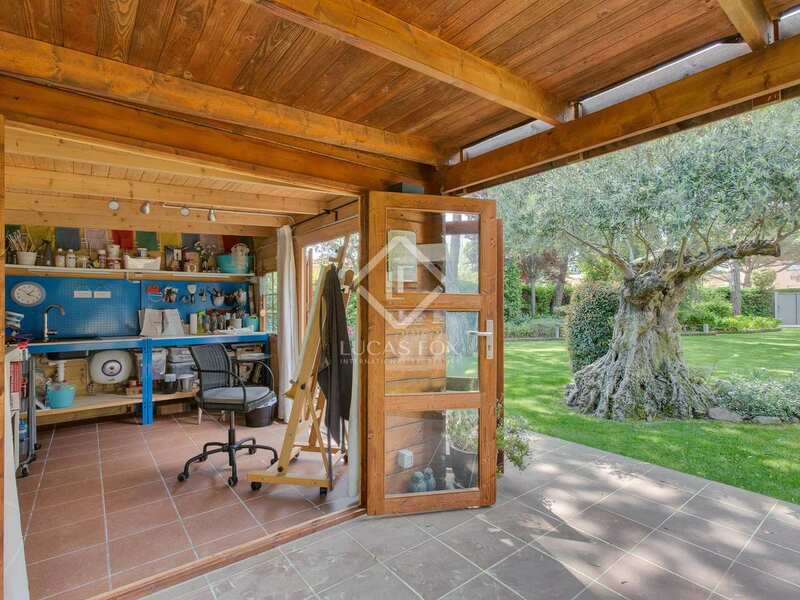 At the bottom of the garden we find a wooden building which has been divided in two to offer an artist's studio as well as a storage room. 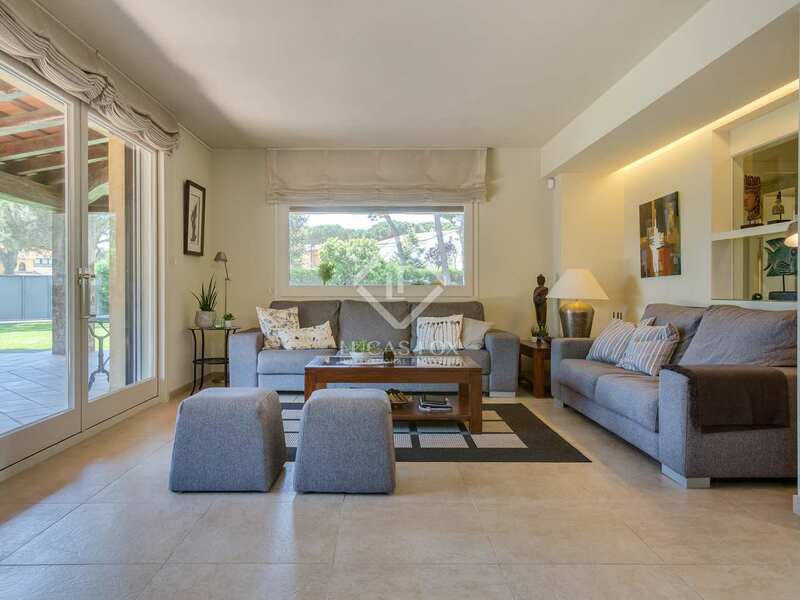 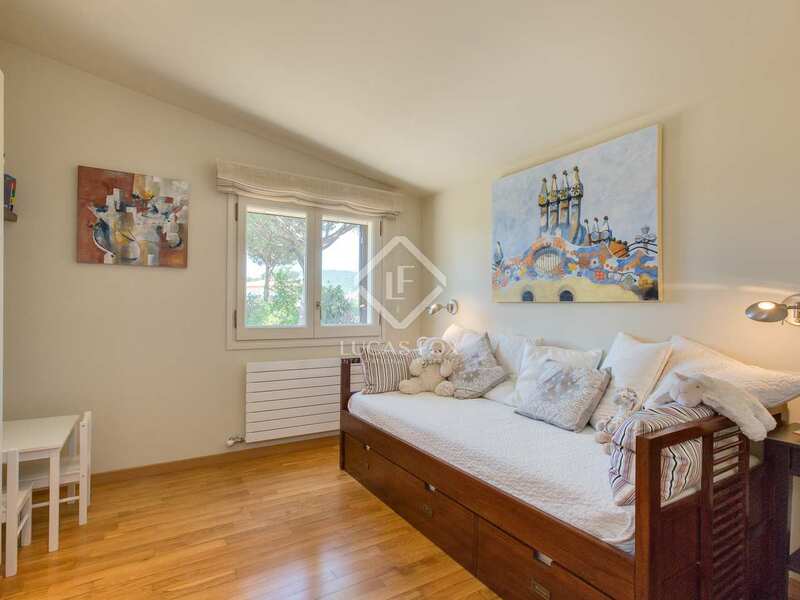 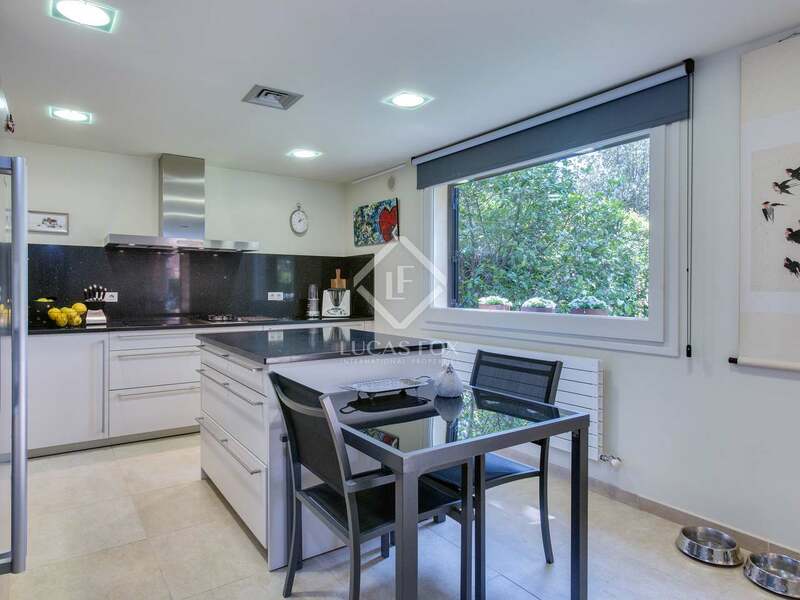 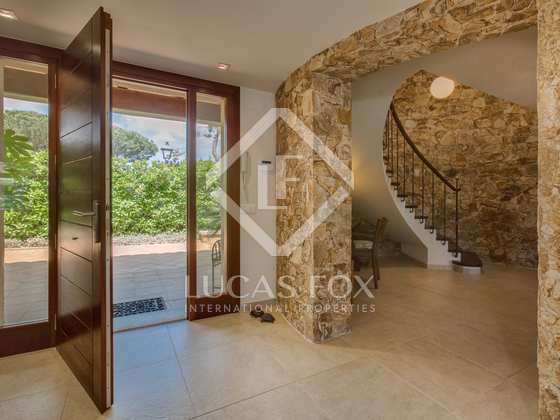 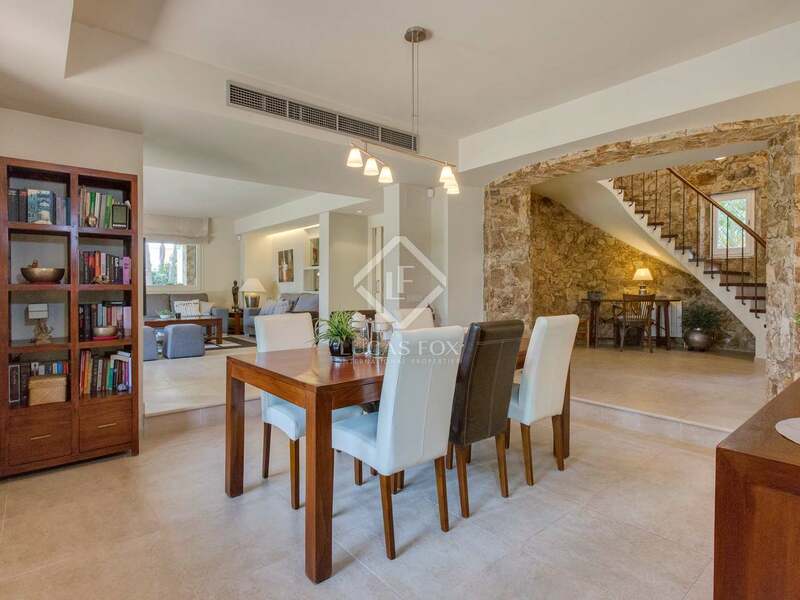 With a generous built area of 425 m², beautifully kept interiors and exteriors and an enviable location close to amenities and the beach, this is an ideal family home, holiday property or rental investment. 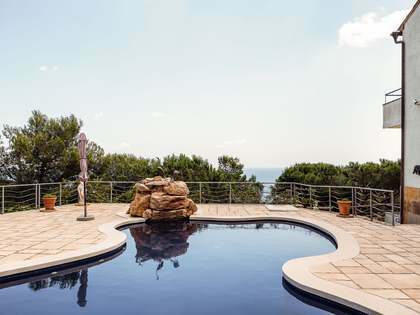 House in the residential urbanisation of Torre Simona, less than 3km from the beaches of Calella de Palafrugell and Castell. 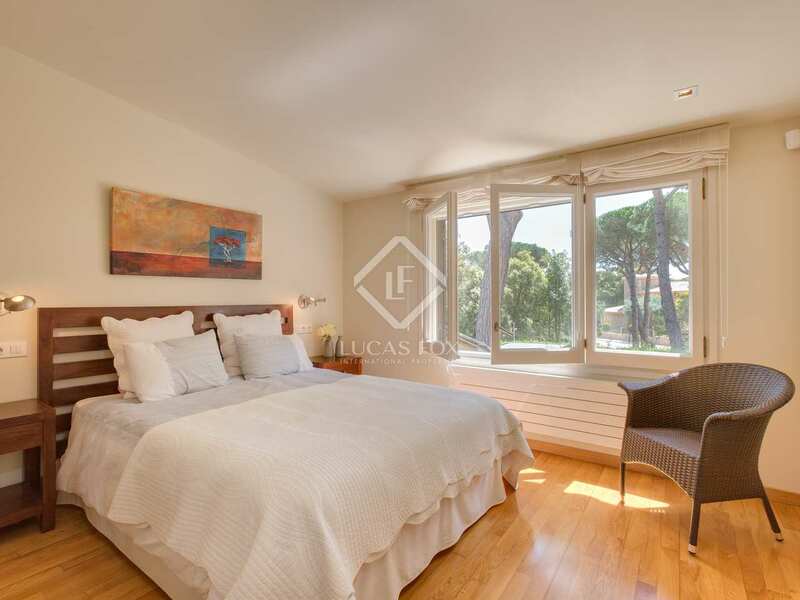 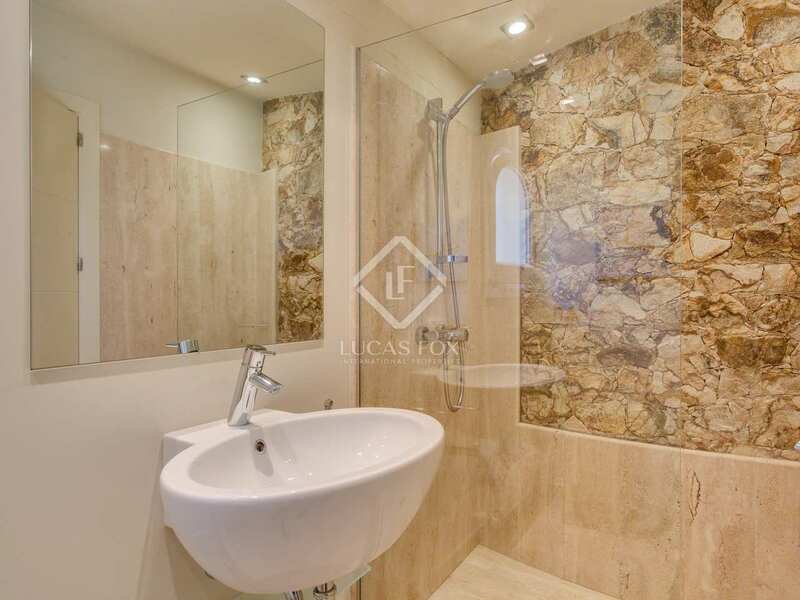 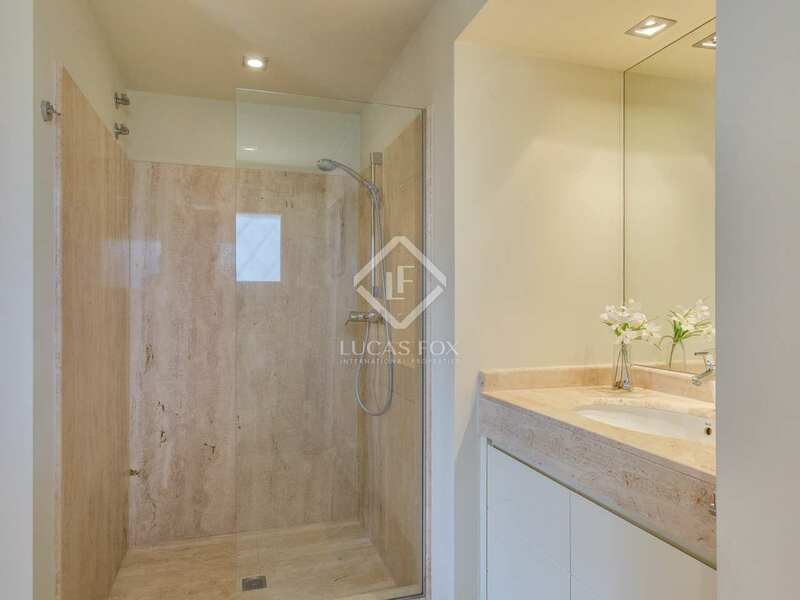 The house is within walking distance of supermarkets, restaurants and the tennis club.